“If she could have lived to 110 she would still be there,” said Stephen Waite, Claire Waite’s son. Clare had profound admiration for not only the Red Cross mission but for her Red Cross co-workers. Clare worked for the American Red Cross for over 30 years, before retiring in 2011, at 88 years old. She would pass away six months later. Stephen Waite now helps carry on his mother’s legacy of service to others as a board member for the Snohomish County chapter. Clare Waite worked tirelessly on Project PRIDE (Providing Relief for Individuals Dependent on Energy), a Red Cross program that was the result of a donation from the Snohomish Public Utility District to provide power to low-income households. She was its sole employee, and over the project’s 27-year life span, she distributed over two million dollars. Project PRIDE helped 800 households a year. “Her entire life, she was one to have a special place for those less fortunate,” said Stephen, adding that “I wanted to be able to carry on some efforts that my mother had been involved in.” He has been a board member for four years. Volunteers constitute about 90 percent of the total workforce to carry out our humanitarian work. The Red Cross relies on generous volunteers who give their time and talent to help fulfill its lifesaving mission. Stephen enjoys being able to do his part to help the community, and has a passion for installing smoke alarms as part the Red Cross Home Fire Campaign. This effort aims to reduce home fire deaths and injuries by 25 percent by the end of 2019. Working smoke alarms cut the risk of dying in a home fire in half. 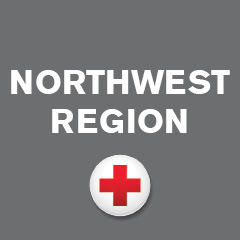 In Snohomish County, 821 smoke alarms were installed last year.